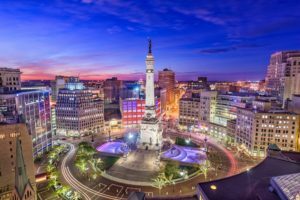 Larry Gigerich, executive managing director at Ginovus and an Indiana Chamber board member, recently wrote about innovation districts and their importance – accessing talent, collaborating with higher educational institutions and partnering with other private sector companies. This entry was posted in Business News, Chamber News and tagged ginovus, Higher education, innovation, innovation district, research by Tom Schuman. Bookmark the permalink.